OXFORD, England –You walk out of a soft-falling rain into the living room of an Oxford don, with great walls of books, handsome art and, on the far side of the room, graceful windows onto a luxuriant garden. 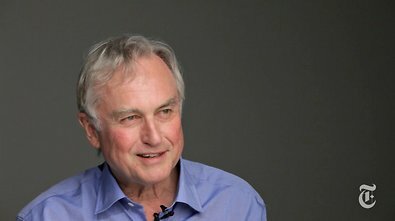 “What, one wonders, are Dawkins’s views on the epistemological differences between Aquinas and Duns Scotus?” And that is in essence the greatness of Dawkins – he does not waste time on subjects that are largely irrelevant. And that makes him an important thinker. Instead of being drawn into tenacious ideas with the rest of the tribe, he stands outside and observes then discards what he does not need – making way for new and original viewpoints.